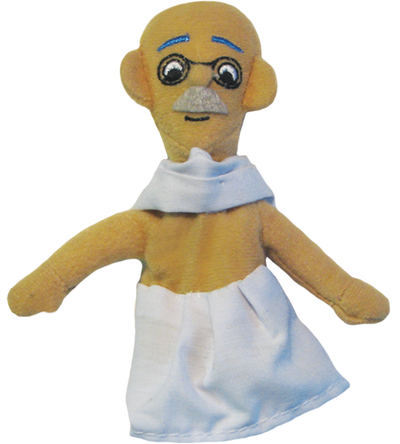 A Mahatma Gandhi finger puppet. ca 12 cm high. A magnet hid in the back of his head means you can easily put him on the fridge when you´ve done playing with him.